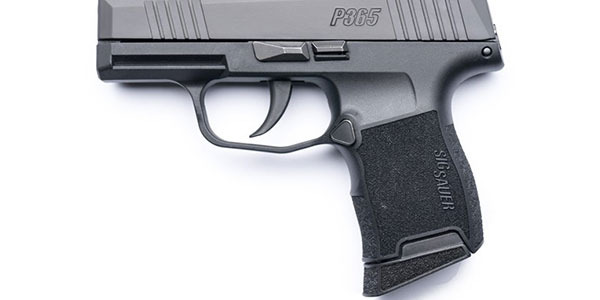 Kahr Firearms Group, a leader in innovative firearms design and manufacturing, has announced the launch of the Fallen Officer Program. Through the Fallen Officer Program, Kahr Arms will donate a Thin Blue Line model PM9 customized with the fallen officer's name on the side of the slide, and his or her badge number and "end of watch" date engraved on the top of the slide. The gun can then be used to raise money for the family or remain with the family as a keepsake. Kahr Arms now has applications available for the 2018 program, honoring officers who have fallen during the 2018 calendar year. The application may be submitted by the law enforcement department or by family or friends of the fallen officer. To request an application, email [email protected]. Applications will also be available on the website at kahr.com. 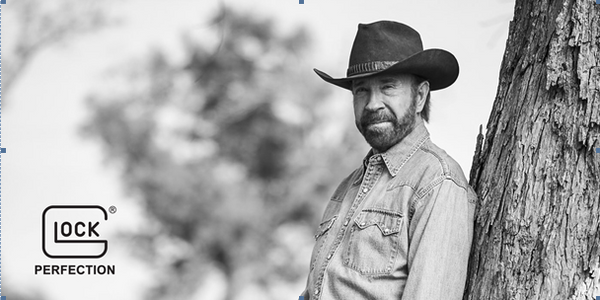 "At Kahr Firearms Group, we wanted to continue to show our support to the great men and women of law enforcement. This program is an opportunity for us to help the families of those officers who gave the ultimate sacrifice. 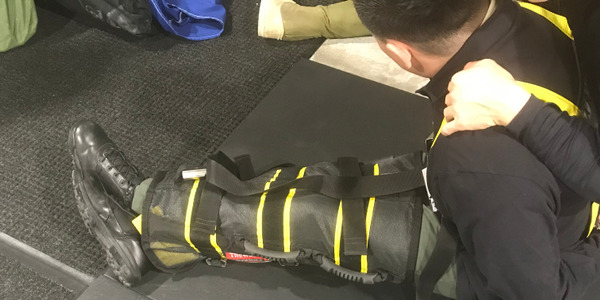 We are pleased to announce the launch of the Fallen Officer program offered by Kahr Arms," said Jodi DePorter, Director of Marketing for Kahr Firearms Group. 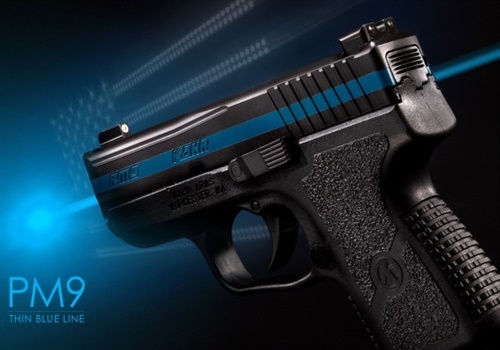 The special edition Thin Blue Line PM9 was introduced earlier this year by Kahr Firearms Group to honor the men and women of law enforcement who form a "thin blue line" between a lawful and lawless society. 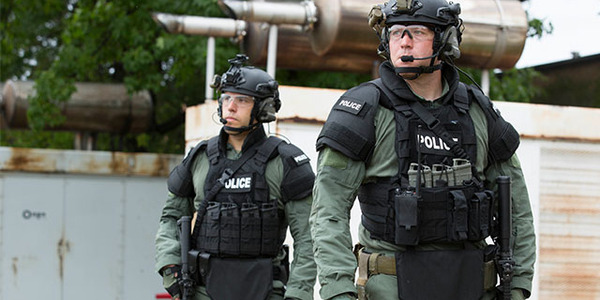 These officers place their lives at risk to protect their communities from harm. In doing so, they deserve the respect and gratitude of those they serve. The "Thin Blue Line" PM9 slide is finished in durable Armor Black Cerakote. All other exposed metal parts are blacked out, and a blue line is added encircling the slide. This special model comes equipped with easy-to-see TruGlo Tactical Night Sights. 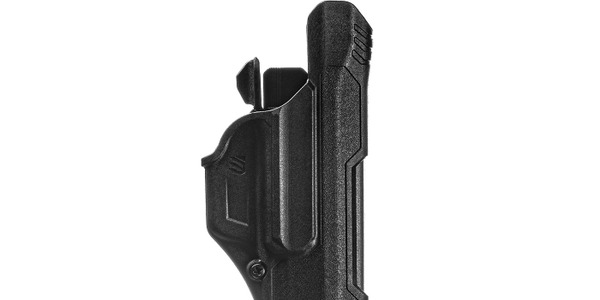 Two flush mount six-round magazines and one seven-round extended magazine are included—each of which has been blackened for concealability. As with all Kahr Premium Series firearms, a full limited lifetime warranty is included. Kahr Firearms Group and Outlaw Ordnance have partnered together on the design concept and promotion of this product, and several other custom firearm projects. Outlaw Ordnance, based out of West Monroe, Louisiana, has seen substantial growth in the last few years. For more information about Kahr Firearms Group products, visit www.kahr.com, www.magnumresearch.com, www.auto-ordnance.com, or www.customdeserteagle.com.